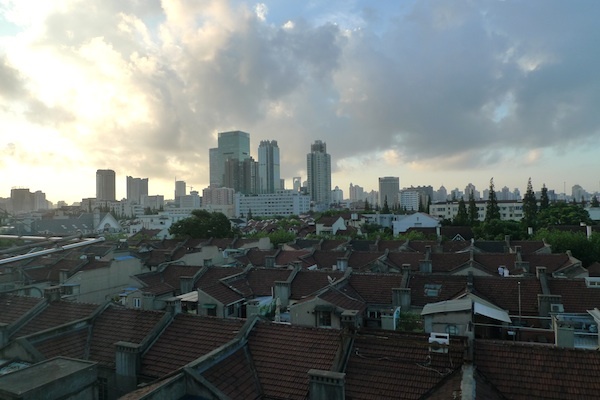 I thought I’d write about my first weekend back in Shanghai as it is all fresh in my mind…from the UK departure late on Thursday night, to the Shanghai arrival early Friday morning, and today’s inevitable Sunday jet lag that I can still feel hanging over me…I need to sleep. I’ve jumped straight back into things at full speed (as expected)…into the Chinese pace of life. My time in the UK was, as ever, a whirlwind experience…although I didn’t quite squeeze in as much as I usually would. It was a roller-coaster of emotional and physical highs and a couple of lows; an unexpected plethora of (slightly intrusive) hospital tests that is making me question life, the future and mortality; numerous job applications, global interviews and professional developments that will create many changes over the next few months (I’ll announce this news tomorrow); swimming as often as I could early in the morning before 9am; seeing and catching up with “box of trust” friends, their growing babies and families (I’m at “that age” apparently), and my family…people are so important to me more than anything else in the world; spending time with the beautiful English countryside, appreciating the simplicity of sitting on the grass and breathing clean air, staring at the blue sky; experiencing the once in a lifetime London 2012 Olympics (read here); reacquainting myself with the UK contemporary art scene and more. It happened so quickly and it’s strange to think I’m already back in Shanghai. Full circle again. Following super humid sleeps with a soundtrack of Shanghai city white noise, I had to get out on my bike to cycle the streets and reacquaint myself with the city. The climate is just right at the moment. For late lunch/early dinner, it was a local Chinese fish broth noodle dish with an array of local side dishes. Perfect, simple and very tasty…I’d missed this. This was followed by an evening spent on a 25th floor terrace on Renmin Lu overlooking Pudong with my close friends, chatting, smiling, laughing, feeling like family again until 4am in the morning. There were very special moments that night. Saturday was obviously a late starter with brunch-lunch-afternoon eats at one of my favourite places, Blend on Yongjia Lu, where I would usually have the avocado smoothie but yesterday I had a spinach and green pesto cheese omelette with a huge glass of freshly squeezed carrot juice. I’m addicted to carrot juice. Again, perfect. This was followed by an evening regression back to teenage years with friends at Orden Bowling Centre with an accompaniment of arcade games…and chats until the very, very early hours. For some reason I didn’t want to sleep. In previous posts about my time in the UK, I mentioned my love affair with the English sky…its cloud structure and beauty like no other, but when walking home at 5.30am this morning, yes 5.30am, I was completely blown away by this below…Shanghai was suddenly becoming a rival love. The pink hues pushing through onto the developing crisp blue of the sky was something else. I stopped, stared into the sky and smiled…sitting down in a local park for nearly an hour. The streets and roads were virtually empty. The air clear. I was alone…thinking and questioning…not really knowing what to think. My head is full…all over the place at the moment for one reason and another…for today, I’m going to blame jet lag, when in reality I know it goes far deeper. One thing that I’ve definitely realised as 2012 has been unfolding is that everything does happen for a reason…I’m a true believer in that. What will be, will be. By the time I’d woken up at midday today, the sky had turned into a different kind of blue wonder. I forgot how much views and a sense of space mean to me and how much I’d missed seeing this every day from my bedroom window in the morning. It brings a certain sense of clarity and perspective to things. Until tomorrow’s announcement…it’s time to dream. Thank you for the “Welcome back!” Shanghai…let’s see what the coming weeks have to offer. Wonderful Rachel. I love these images. I like all the food pix. They manage to set a tone. And without people, and the POV angle, it’s like I’m being served. Kind of immersive. And I like the arm cut off. Just a little bit Nikki S. Lee “Parts”. Nice. I like to keep certain engagements ambiguous and give readers the feel as though they are there with me. Sometimes I achieve it! Thanks for the message and as always for reading!